In the build-up to the Grand National, there are always safety and welfare issues that are raised. The 2020 Grand National is expected to be no different. Since the year 2000, there have been eleven Grand National deaths. But in general, deaths in horse racing are still fairly rare. On average, one horse dies for every 250 races run. Having said that, the figures for the Grand National are a lot worse. Between the years 2000 and 2010 there were seven fatalities from the 439 horses that went to post. 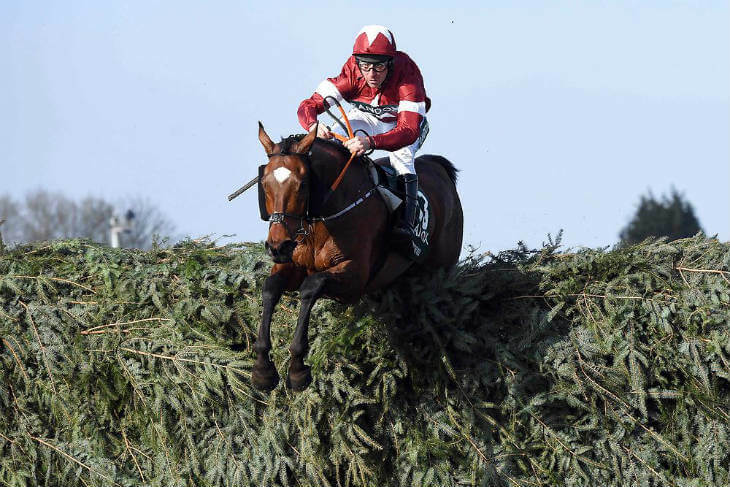 Over the years Aintree race officials and the British Horse Racing Authority have introduced a number of safety-related changes to the Grand National to make the race safer. This is not only focused around the horses but also on the jockeys. 40 horses running over 30 of the most demanding fences naturally comes with its risks. Animal welfare organisations had long been lobbying for the race to be altered, or even banned altogether. However, in recent times, things have certainly improved on the safety and death toll front. In 2019, Up For Review sadly died after being brought down by another horse at the very first fence. But that was the first fatality for many years. This recent improvement has been put down to several factors. These include altering the fences and also reducing the actual length of the race. From 2016, the Grand National distance was shortened from 4m4f (4 ½ miles) to 4m2f. The thinking behind this was to reduce the length of time it took to get to the first fence. There are 40 horses that are revved-up at the start of the race. Therefore, there was a tendency to head towards the first fence too quickly, resulting in mistakes and falls. Other alterations to the fences have included adding in plastic inserts to make the centre of certain obstacles more forgiving. With 16 fences, 14 of which are jumped twice, these changes have clearly made a big difference. Another area the welfare campaigners have focused on in recent times has been the landing side of certain fences being lower than the take-off side. This clearly adds to the difficulty for both horse and jockey with those against it seeing this as a way of tricking the horses. To combat this the Aintree track has made various alterations to the landing side of certain key fences – like Bechers Brook – making the landing side level a lot closer to the take-off side. The welfare surrounding the Grand National is also not just during the race but after the contest. The Aintree track and racing officials have put ‘hosing down’ facilities in place to quickly cool down the runners. In a race like the Grand National, there is always going to be people that oppose the race. However, with changes to the length of the course and certain fences, it’s clear these have made a positive impact on the reduction of Grand National deaths in recent years. The Grand National is billed as the world’s greatest steeplechase. The event provides a stern test for both horse and jockey. Of course, everyone inside and outside of racing wants to make the race as safe as possible, but officials also have to strike a balance that keeps the test of winning the Grand National a unique one and at the moment it looks like they are achieving just that.